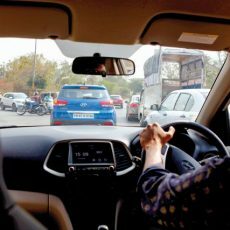 On a sweltering Tuesday morning, I landed in Bengaluru and made my way out into the parking lot. A shiny red Toyota Yaris awaited me. Yep, it was time for a road trip. The Yaris has earned rave reviews and positive feedback from the automotive media and customers alike, but this drive wasn’t about that. This drive was about a late 20-something (yours truly) seeing how suited the Yaris was to my lifestyle. 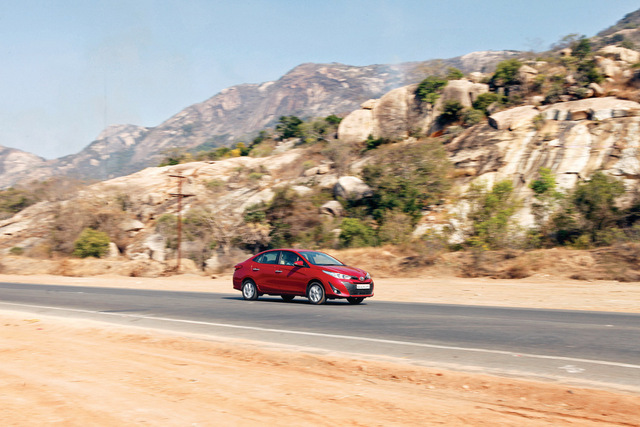 If you’ve been following Car India for long enough, you’ll know that I, like the rest of the team, love exploration drives to discover new places. 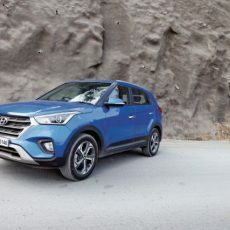 In this particular trip, I’d be heading from the airport straight towards Amravati, the new capital of the state of Andhra Pradesh, and, as such, the youngest capital in the country. When it comes to new, young places to explore, you can’t do much better than that. So off I went, stopping, as usual, at interesting spots along the way. The first of which was just a little way beyond the airport on the highway leading towards Hyderabad. The birthplace of Tipu Sultan: Devanahalli Fort. 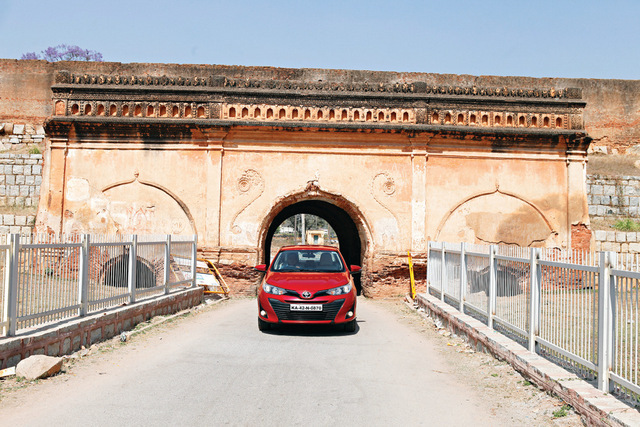 Dating back to the 15th century, this glorious Fort has a fascinating history and made for a perfect backdrop to take a closer look at the Yaris’ exquisite exterior. Just as the majestic Fort offers up a regal, imposing, and glorious aesthetic, so does the Yaris. The only difference being that Toyota’s premium sedan has new-age styling cues like that sharp headlamp design which artfully integrates LED DRLs into its fold. The smooth and curving lines of the car’s silhouette were brought into even sharper relief by the Fort’s distinctive crescent-moon battlements. Admiration complete, it was time to set off. I had 600+ kilometres to cover before I reached Amravati. The first half of that journey was all open, three-lane highway. This meant the 1.5-litre petrol engine could be given a proper runabout. 107 PS and 140 Nm with a CVT and cruise control: a perfect recipe for a power-packed yet relaxed highway drive. 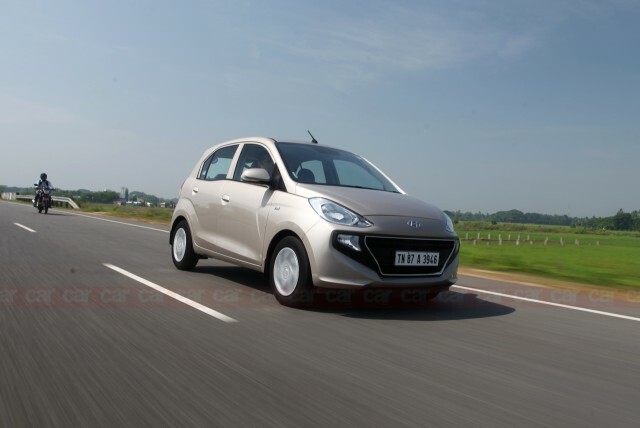 The latter half of the drive was completed on a single-lane state highway which really curtailed my ability to carry pace, meaning by the time the Yaris and I had arrived in Amravati, darkness had fallen.